Alibaba, founded in 1999, set a world record in 2015, completing the largest IPO in history. Today, Alibaba is three times bigger than Amazon. The company, growing exponentially, sends reverberations through most B2B industries. The promotional products industry is particularly affected because delivery cycles, to meet event dates, are being shortened and that is critical. China direct sellers (factories and trading companies) are battling North American importers for end-user promotional product dollars. They are going around promotional industry importers, and cutting out the so-called middleman. We have already seen significant erosion of traditional supplier > distributor > end-user boundaries. Added to the relentless march of online China-sellers, many buyers, especially millennials, are eagerly purchasing promotional products with the click of a button. Direct sellers are attracting a higher percentage of buyers migrating to online solution providers. Key adopters are not limited to those looking only for commodity cost and service. There have always been individuals willing to break traditional buyer/seller relationships. The Alibaba-effect has provided even more impetus to buy China direct; turning a fad into a trend. A precarious situation looms for promotional products industry suppliers and distributors. The Alibaba-effect has created downward pressure on selling prices, increased the amount of rush orders, and has reduced delivery time for an already tight event-based business. Are you doing everything right? Innovating and marketing well, delivering on time, providing great customer experience… In spite of the Alibaba-effect sellers must cope with the new business reality to grow their book of business. Doing everything right is no longer enough. We must compete differently, and develop/protect reliable vendor and customer relationships. Hiding your factory, literally concealing it from predatory sellers and end-users has become essential. Hiding your customers from direct Chinese sellers is equally important! Alibaba is not waiting around. The time has come to rethink how to protect and grow your import business. A essential first step is shipping as fast as a factory to level the delivery cycle playing field. At the same time, hiding your valued supply chain assets overseas. Enter next generation shipping. 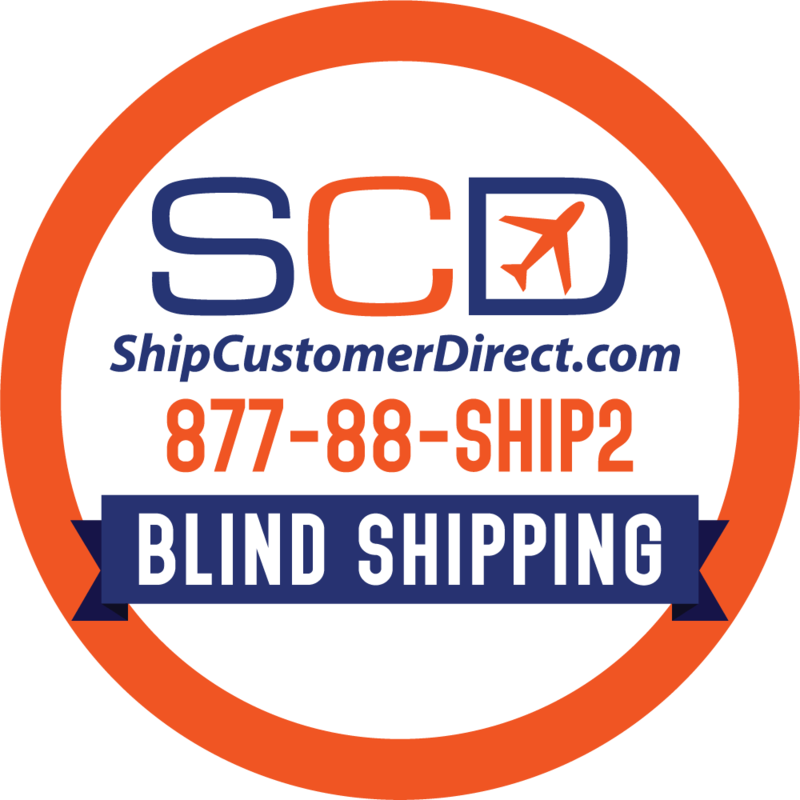 Blind shipping customer direct accomplishes this and more. In addition to protecting your business, blind shipping means never having to touch a shipment. Eliminating your local receiving/handling and reshipping to your customer makes you more competitive and saves critical days. On average, not touching a 50 lb shipment will save upwards of $75 in local costs. Duty-paid delivery cycles are faster simply because they are Point A (your factory) to Point B (your customer) via our shipping depot. Antother plus: change your import model to stock non-printed minimums in China, decorate as needed, then blind ship to your customer. Deliver duty paid; vendor to customer in 2-3 days, and for less. Our all-in price includes factory pick up, customs clearance and customer-direct delivery. Shipping rates are always 60% LOWER than carrier published! Only you have the right to know your costs, suppliers, and final destinations. It’s only fair. Get a QuickQuote here. ShipCustomerDirect.com, the most secure way to reduce transport costs, eliminate handling and protect your business from predators. Call click or visit. We’re here to help since 2008! More questions about shipping or required docs? Visit ShipCustomerDirect.com, and let’s talk! Subscribe to our list. Be first with blind shipping news, and specials. GET THE SCD APP TODAY! Customers buying China-direct are cutting you out. Suppliers and customers have grown much closer; the primary reason you bring shipments in-house, only to reship to end-users. Protect your business. Deliver as fast as a factory and never touch the shipment. Blind Shipping keeps suppliers and customers apart. Captcha is required Please check checkbox. Subscribe. Never miss a deal! Protect your business, start today!